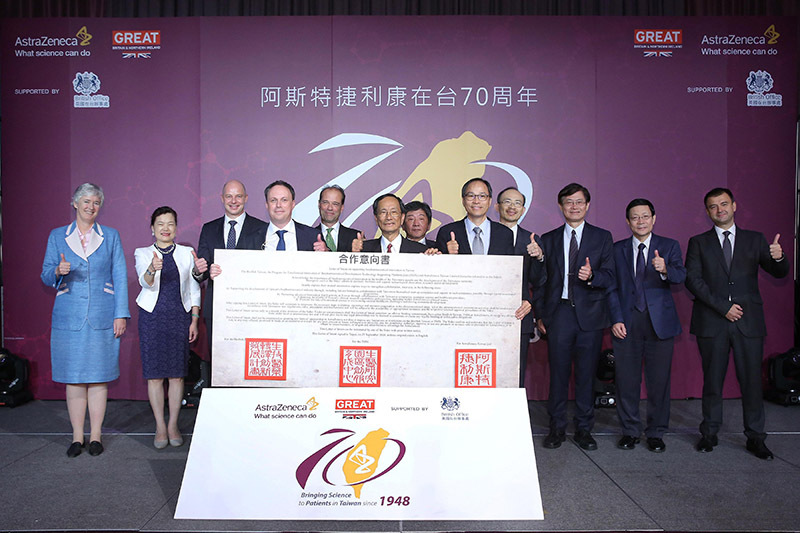 AmCham Taipei member AstraZeneca Taiwan, the local arm of the global biopharmaceutical firm, celebrated the 70th anniversary of its founding on September 25. It became one of the very first foreign investors in Taiwan when its forerunner, Imperial Chemical Industries (ICI) of the UK, set up operations in Taiwan in 1948 to bring an anti-malarial drug to this market, contributing to Taiwan becoming the first malaria-free area in the Western Pacific in 1965. Zeneca, a spin-off from ICI, merged with Astra AB of Sweden in 1999 to form the current London-based company. 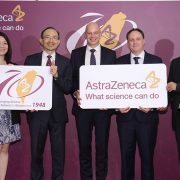 At a press conference and later at a reception at the Westin Hotel, AstraZeneca used the occasion of the anniversary observance to announce plans to invest an additional NT$1 billion (over US$32 million) in Taiwan over the next three years. 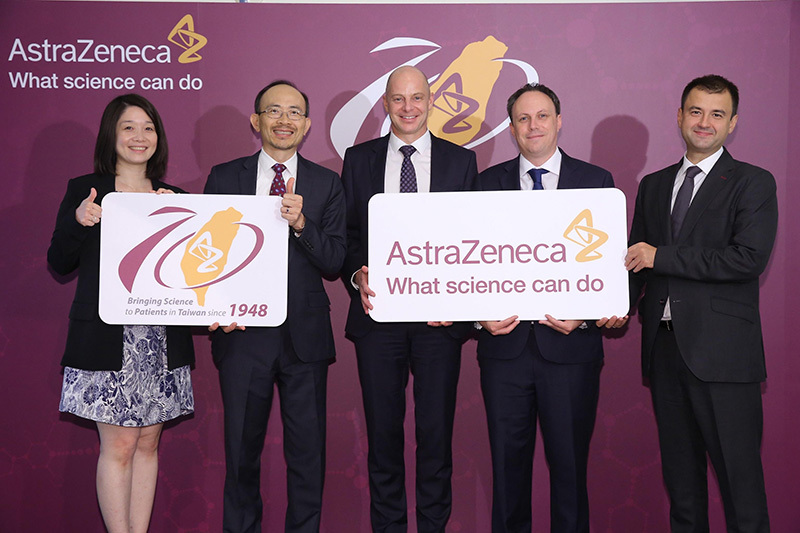 AstraZeneca Taiwan president Simon Manners said the company will launch 10 new medicines by 2021, three of which have received priority approval from the Taiwan Food & Drug Administration. It will also triple its spending on clinical research and development in Taiwan and create more than 140 new jobs in medical affairs, clinical research, and marketing and sales, increasing the total workforce to 430 employees. A statement from the company said the investment “reflects our commitment to address the unmet needs in non-communicable diseases, to enable high-value job creation, and to advance biopharmaceutical innovation in Taiwan.” The anniversary ceremony also involved the signing of a Letter of Intent with the Ministry of Science and Technology to help develop local R&D talent. 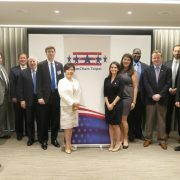 In an interview with AmCham Senior Director and Taiwan Business TOPICS Editor-in-chief Don Shapiro, Manners stressed the significance of AstraZeneca’s initiatives for Taiwan’s increasingly elderly population. He noted the company’s “rich pipeline of innovative new medicines” for such diseases as diabetes, lung cancer, and cardiovascular disorders – all illnesses that occur with greater frequency in older people. “The new medicines we are bringing will not only help people live longer, but also live longer with a good quality of life,” he said. 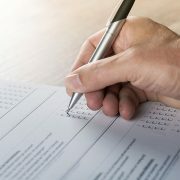 Manners also praised Taiwan as a location for conducting clinical trials, citing the excellent professionalism of its doctors and the high quality of the data produced. “We are the number one initiator of clinical trials in Taiwan of any multinational company, and the number two overall,” he said.